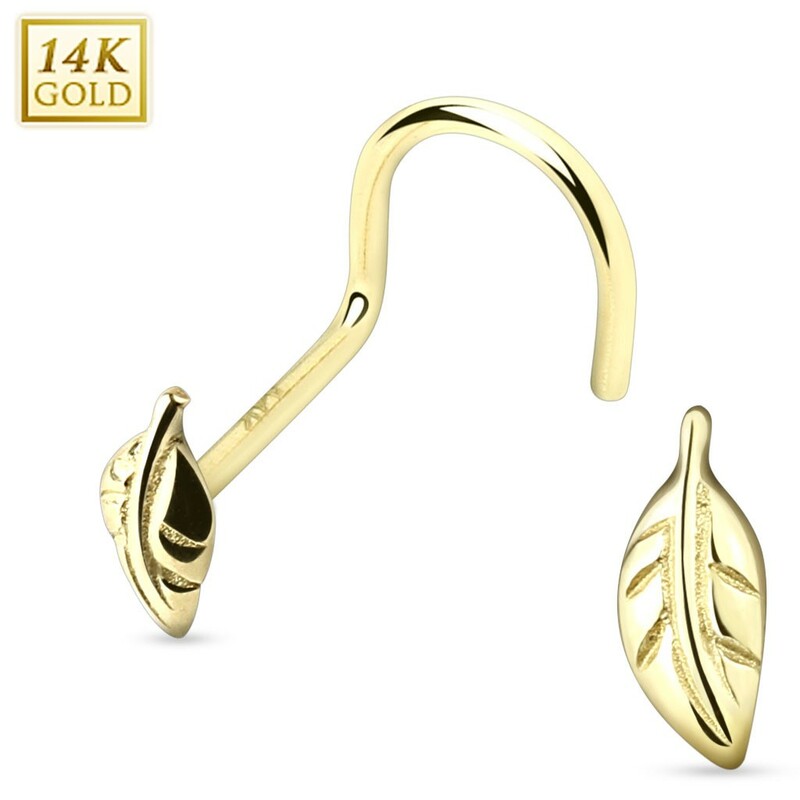 This solid gold nose piercing is decorated with a gold leaf. This leaf is rather detailled as you can see the relief on the leaf. 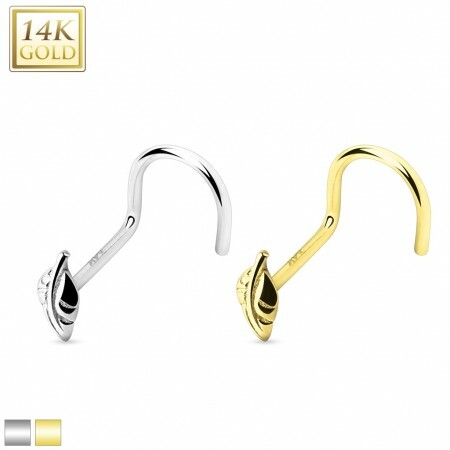 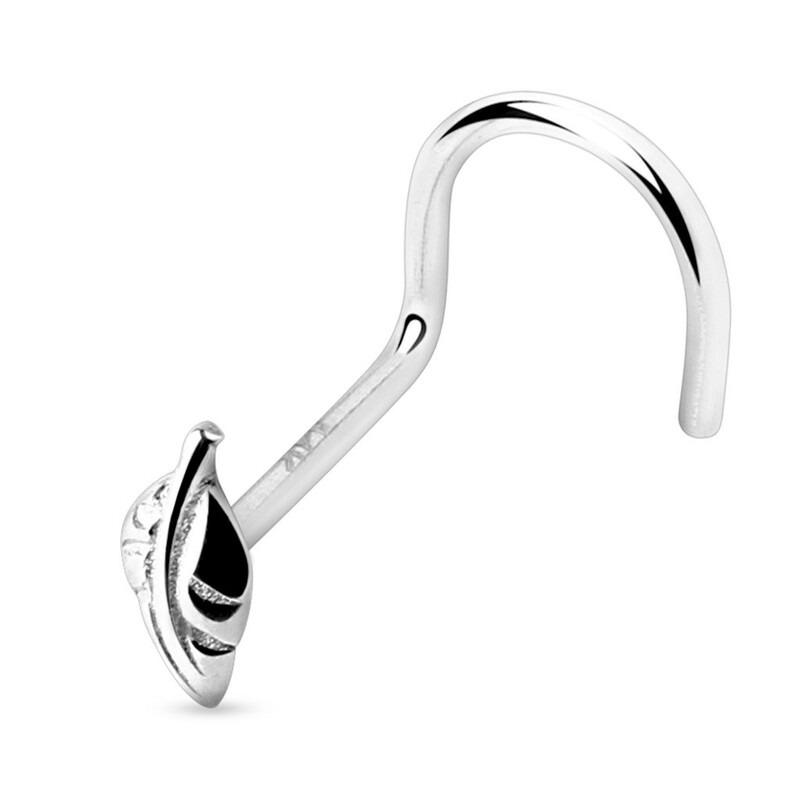 Thanks to its screw shape this nose piercing will stay firmly in place when worn.